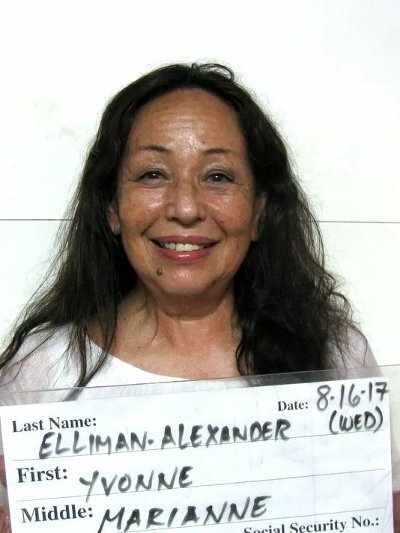 Singer and actress Yvonne Elliman and her husband, Allen Alexander, were arrested on August 16 in Guam in charged with drug possession. The couple were entering the country to perform a benefit for a local school when drug dogs alerted officials to something in their baggage. Upon inspection, Elliman's suitcase was found to include with 3.5 grams of methamphetamine and a pipe while Alexander's had 3.3 grams of marijuana and a green plastic straw with crystals in it. Both are considered Class II controlled substances. Elliman was charged with one count of bringing a controlled substance onto an aircraft, which is a first degree felony. Alexander was charged with one count of possession of a controlled substance, a third degree felony. The couple was realeased on a $10,000 bond and are not allowed to leave the island without the court's permission. In addition, they are not allowed to drink any alcohol or use and drugs. Yvonne's early career revolved around the rock opera Jesus Christ Superstar, singing on the original concept album and starring as Mary Magdalene in the Broadway and film versions. She later went on to have hits with "Love Me", "Hello Stranger" and "If I Can't Have You" from the Saturday Night Fever soundtrack.